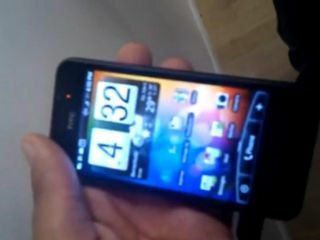 Another HTC phone - the Incredible - has been shown off on video, taking it one step closer to release. We brought you news of this bright red phone earlier this month, and now the video (albeit a terribly filmed video, even by spyshot standard) confirms it to be real. The Incredible is packing a 3.7-inch screen with a Snapdragon processor, 256MB of RAM and the optical trackpad we know and love from the Desire. It also has a 5MP camera with dual LED flash - something that we haven't seen on the recent crop of phones from the Taiwanese brand. We've not heard any word on a UK release date for the Incredible, and if we're honest we'd imagine this is only going to be a US-only release (not least because it doesn't have a distinctive chin). But we like new phones, and if this is morphed into a more Europe-centric device (that doesn't cannibalise the Desire) then bring on the dual-LED flashiness!